Many associate the smell of green with cut grass; I associate the smell of white with the smell of garlic. 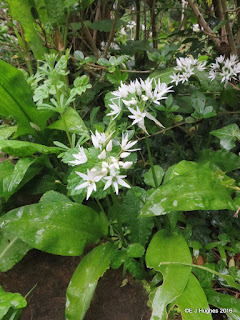 The small flowers are pure in white, and the smell of the wild garlic is crisp. I must work out how I smell other colours; with the exception of brown of course.